Cyclocross Magazine’s year-long search for the perfect cyclocross shoe continues with Day 5 of Shoe Week. 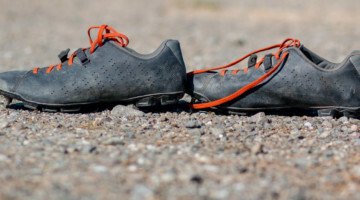 Our look at the Sidi Diablo GTX is a brand new review. We’ve also resurrected three winter shoe reviews from issue four of the print edition of Cyclocross Magazine: Specialized’s Defroster, Northwave’s Celsius J GTX and Lake’s MXZ302. Missed our previous features? Catch up on Day 4 and the Dry Guy bonus. 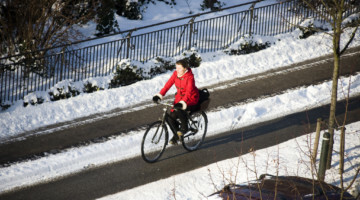 When winter turns brutal it sends cyclists, who are normally itching to get out on their bikes, scurrying back to boring trainer routines or under the covers. One of the least pleasant and hardest obstacles of winter cycling to overcome is cold tootsies. Extremities are always the most vulnerable part of the body to cold temps and numb toes can ruin an otherwise pleasant wintry cruise. It’s easy to find the proper gear for the rest of your body – if you dress well enough, you can ride in almost any conditions. Well, think of these winter-specific shoes as balaclavas for your feet. The shoes look like a high-top version of Sidi’s wildly popular Dominator mountain bike shoes. The Competition sole is identical, but the difference is in the upper. The extra insulation will help to maintain heat, but it’s the Gore-Tex treated exterior that makes the difference: these shoes do a phenomenal job of keeping the elements out. Putting the shoes on was a breeze – they open up nicely, then cinch close securely thanks to 4 Velcro straps, including one on the neoprene cuff to complete the Diablo’s anti-wetness defense. 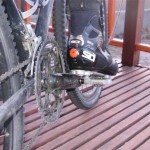 While insulating shoe covers over regular mountain biking shoes do an adequate job, they offer no traction and can deteriorate quickly if you walk on them much. Off-road obstacles, like rocks and tree roots, will quickly trash the covers. The treads on the Diablos provide sure-footed grip and the shoe accommodates optional toe-spikes for those super-sloppy days. The Diablos are designed for a slightly roomier fit to accommodate thicker winter socks or the company’s new Sidi Toasters, battery-heated insoles for the ultimate in happy feet. The Diablos with good winter cycling socks are adequate for me down to about 20 F (of course others’ feet will vary). Add the Toasters, and you’re ready for any challenge. One of the most impressive aspects of the Diablos was the weight: heavy, bulky winter galoshes these are not! In fact, I’ve had low- to mid-level summer mountain bike shoes weigh more than these. 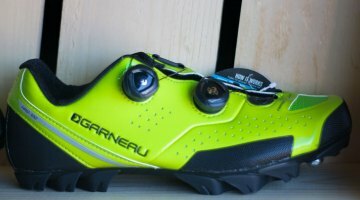 I would have no hesitation to race these shoes in inclement weather and I think these would make a great addition to any cyclocross racer’s arsenal of equipment. I’d love a set of these for my warm-up laps to scout the course. Sidi also makes a road-oriented winter boot, the Hydro GTX. As a ‘crosser, the Diablo is the better option but, even if you’re intended use is limited to on-road, I find the Diablos a better choice. 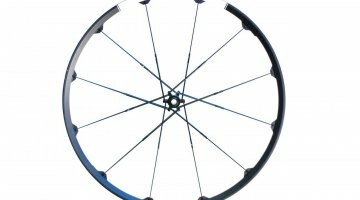 Winter biking, even on the road, tends to involve more carrying of the bike as well as an increased likelihood of getting your pedals and/or cleats gunked up with snow, ice and mud. Mountain bike cleats and pedals handle these obstacles much better than a road setup. 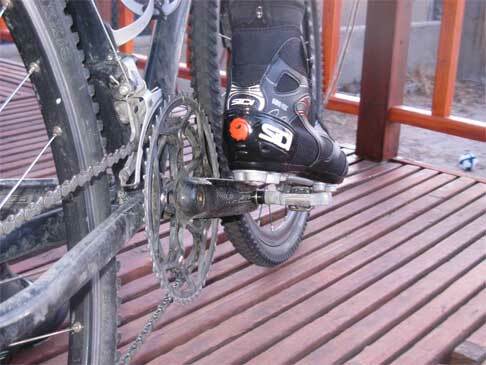 The recessed cleat on mountain bike shoes dramatically improves walkability, making them better multi-taskers for commuting or running errands. 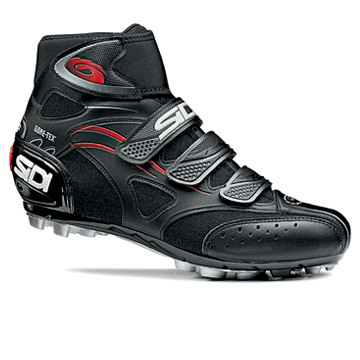 Retail price for the Sidi Diablo GTX is $319.99, but keep your eyes open for sales in your local shops or online. Learn more on Sidi’s website. 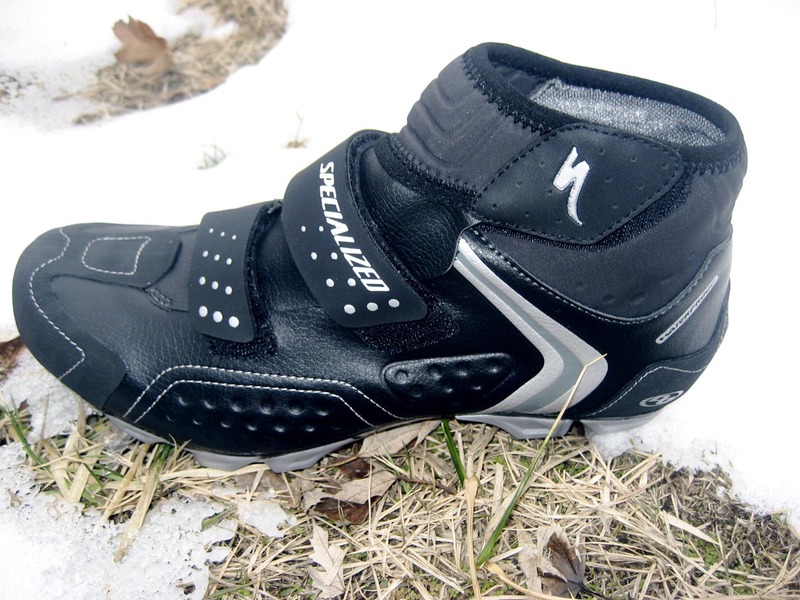 The Defroster is Specialized’s first foray into winter cycling shoes. The Defroster is built on the BG Comp platform. They get their weatherproofing from a synthetic, seam-sealed upper, with a thin layer of insulation. The Defroster uses Specialized’s standard Body Geometry contours for the footbed. The fit is slightly roomier than standard sizing. Three Velcro straps handle adjusting duties. Two straps secure the shoe to the foot while the third strap seals out the elements just above the ankle. The Velcro straps were easy to use, but the fit was not as secure as it was with the two other shoes tested. These proved to be good race-day shoes. They are relatively lightweight and not much bulkier than standard mountain shoes. Of the three shoes tested, the Defrosters provided the least amount of protection from the cold; they performed better in wet conditions than in sub-freezing temperatures. 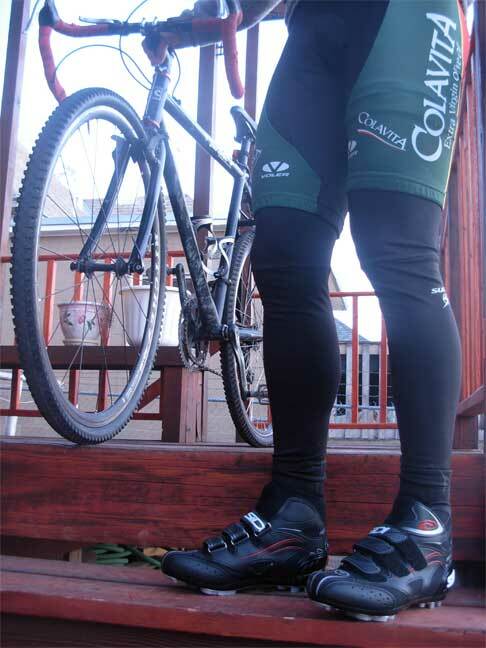 Good shoes if your winter riding takes place in conditions where it’s just cold enough to warrant shoe covers but not much more. Have wide feet? These are your shoes. These Northwaves had the widest fit of the shoes tested. Per recommendation from Northwave, I sized down to a 41. This was good advice, as my feet would have been swimming in a 42. Whereas the winter offerings from Lake and Specialized use an upper constructed of leather and synthetic leather respectively, the GTX uses a Gore Tex lining as the primary defense against the elements (Sidi also uses synthetic leather but adds a layer of Gore Tex as well). At first glance, the extensive use of mesh on the exterior of the GTX does not inspire feelings of warmth. But looks can be deceiving. The Gore lining did its job well. Ventilation was good; my feet stayed warm and dry. 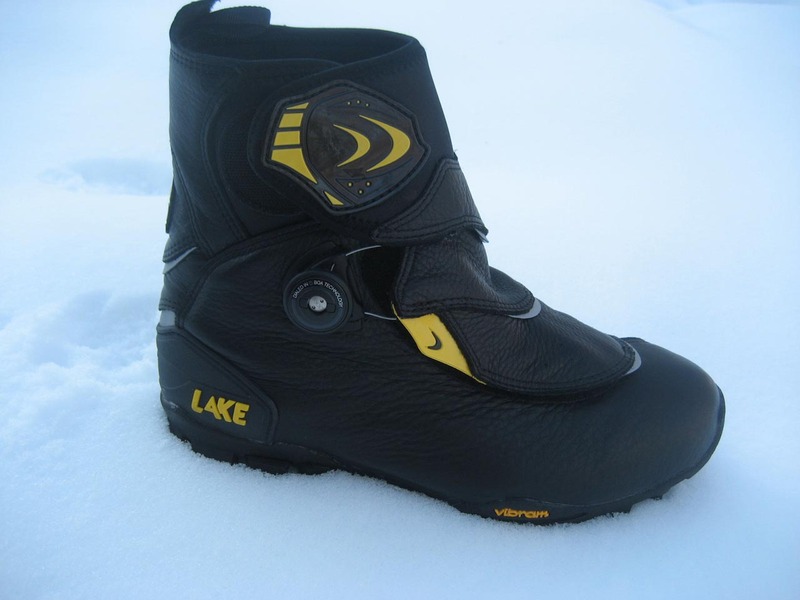 The drawstring used to tighten the shoes is similar to that used on snowboard boots. 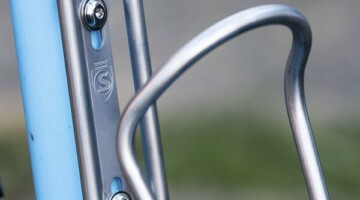 Northwave calls the system “SLS” (Speed Lace System). While it was easy to adjust, it is not the cleanest system. The excess line has to be tucked under the outer closure, secured via two Velcro straps. The fit is slightly higher on the ankle than the Defrosters and less bulky than the MXZ302s. The Northwave Celsius GTX does a good job of balancing performance and warmth. Of the three pairs of winter shoes tested for the print magazine, the Lake MXZ302’s did the best job of blocking the elements when conditions went from bad to worse. The MXZ302’s rely on a 3M Thinsulate liner with neoprene and a cuff to provide insulation and seal out the elements. The Pittards® leather upper is supple and, despite the high cuff design and noticeable weight, these shoes were less cumbersome than expected. The MXZ302’s use the BOA® lacing system to dial in the fit. The benefit of using a BOA® ratcheting lace system on winter shoes was immediately apparent – I didn’t have to open the two overflaps to adjust fit. This kept the heat in and made minor on-the-bike adjustments quick and easy. 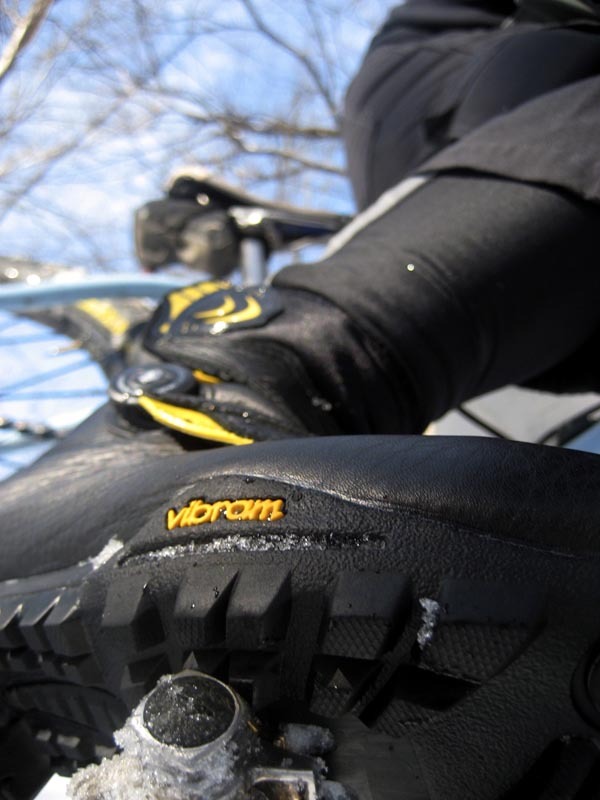 These shoes provided the best off-the-bike traction, thanks to the Vibram soles. The MXZ302s work best when the temperature plummets; on winter days where the temperature hovers just above freezing, my feet actually got too warm. 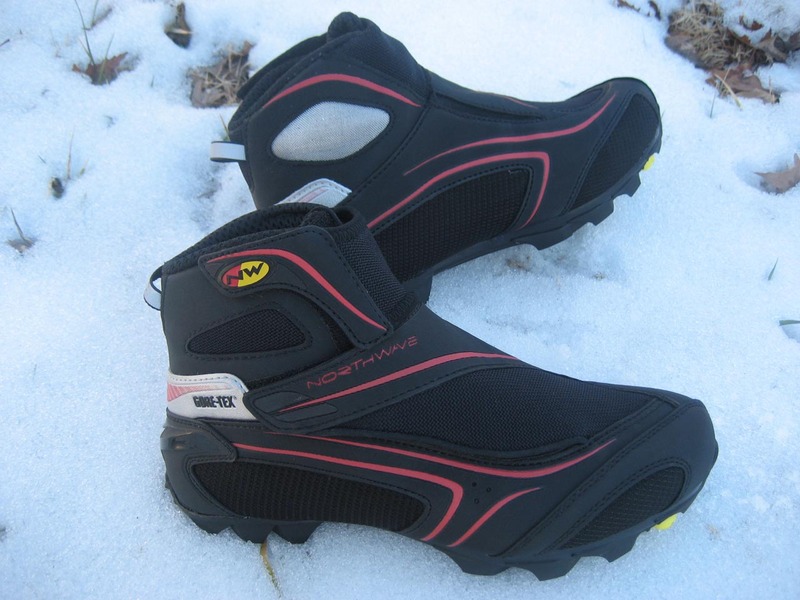 However, if you need shoes to stand up to severe winter weather, the MXZ302 is up for the challenge. Next post Fantasy Cyclocross Update - Week 11 & Another Chance to Enter and Win Prizes! 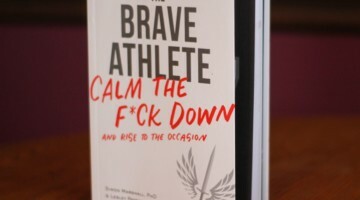 Previous post Training with Power for Cyclocross: Kenton Berg’s Diary #6 – Hazardous to Your Health?